The Minister of Social Development with the South African Social Security Agency (SASSA) briefed the Portfolio Committee on the state of readiness for the implementation of the Constitutional Court ruling. On progress made, DSD has issued a Request for Information (RFI) on 9 December 2016 and it closed on 10 February 2017. 18 bids were received from various stakeholders including banks, private companies and government entities. Analysis of the responses is underway. A document on the matters to be negotiated has been developed. These are period of contract, timelines, costs, unfavorable conditions, special beneficiary accounts, phasing-in of services over the period of the new/revised contract. Negotiation dates have been set and will be starting in earnest the following week. The Department of Social Development (DSD) was supposed to meet on 8 February but has not since it is still consulting with legal advisors on the best legal route to approach the Court. A letter was dispatched to National Treasury on 7 February 2017 requesting a deviation to enter into a new contract with Cash Paymaster Services. A response has been received from Treasury stating that the request will be considered only if the Constitutional Court accedes to the request. SASSA met with the Office of the Chief Procurement Officer to discuss other procurement processes. Members of the opposition parties expressed concerns about the non-progress made by DSD. They pointed out that there are five weeks left before 1 April 2017 and DSD has not done anything. It has not begun negotiating with Cash Paymaster Services (CPS) nor has it gone to the Constitutional Court. What if CPS refuses to accept the R16 per grant payment administration fee? Members raised concerns about the Ministerial Advisory Committee and what it has been doing for all these years. ANC members defended the Department and said that progress is registered in the presentation and that there is no national crisis. It did concede that the Committee has not done anything to hold DSD accountable and asked if it is possible for the Minister and DSD, while busy with other processes that are urgent, to go to the Court to report on the processes they are working on. Another concern raised was about the amount of the child support grant and its impact and how it should be increased to alleviate poverty. Minister Bathabile Dlamini said DSD will give a report on how far the process has gone to secure payment of the grants on 1 April 2017. Firstly, during the process of re-registration [2012-14], DSD set up a parallel process of a Ministerial Advisory Committee on the future payment of social grants which completed its work and presented its recommendations to SASSA. The recommendations were changed into programs of action. Amongst the recommendations of the Advisory Committee was the formation of work streams that will deal with legal policy, ICT, banking, local economy development, human resources, communications and change management. Due to the fact that the process was moving very fast, SASSA sat with the Advisory Committee to find out if there were those who were prepared to move to the work streams so that the work can be fast tracked. The people available were Tim Sukazi dealing with legal policy, Ziyanda, and two others. For ICT and bank services, SASSA worked with Patrick Monyeki and seven others. Amongst the people that came from the Advisory Committee was the local economic lead person Ms Tankiso Parkies. Communications has a new team altogether; HR will have a new team too. Abram Masango was employed to start and establish systems within SASSA because one of the disadvantages is difficulty in implementing decisions without strong ICT and this is also because the grant system has always been driven by ICT externally. The second issue that looked very possible when the work streams were formed but was supposed to be done by SASSA was taking over the registration of grant recipients to SASSA. During re-registration period, it was CPS that was doing the administrative work of grant recipients. Up until today SASSA has not been able to that. DSD came to the decision of having work streams after having looked into what SASSA has to do as an institution to ensure that what comes from the work streams is implemented. What is good about the work streams is that their work is scientific. Another thing the work streams have done is to do due diligence of CPS and SASSA so as to establish the strength of SASSA and identify where more efforts should be put. It is worthy to note that during re-registration period, SASSA had to add six months more because of the challenges encountered on ground. This is why DSD ended up with unauthorised expenditure. What is of importance is that the whole process was a progressive step and important. The Minister of Finance acknowledged the work done by SASSA through the re-registration process. SASSA has biometrics for all grant recipients and children. This gives government more understanding of who receives grants. During this period also, SASSA’s footprint was extended; presently there are 10 000 pay points. There is work that has been done by SASSA. The Court decided in 2013 that SASSA had an invalid tender but due to the vulnerable nature of people that SASSA works with, it was allowed to continue using the same tender. The final date for the work done by that service provider is 31 March 2017. “I would also like to point out that the SASSA transfer is 7.2 billion in 2017/18 as communicated in the 2016 MTEF allocation letter, that around 5% of the social grant system is being spent on its administration …, we would strongly advise that any solution chosen by SASSA should not exceed the budgeted amount, the overall standing ceiling for SASSA is determined by appropriation legislation”. The Treasury said it will await the Constitutional Court decision which will indicate whether the Court confers the requisite authority on SASSA to extend the current contract. The Court had also requested, as presented before the Committee previously, SASSA to make a presentation stating its plan. When the plan was presented in court, the Court said it was confident and asked that SASSA move on with its work. However, SASSA was instructed to tender which it did after the court ruling. When the tender processes were about to be finalised, two bidders withdrew. The remaining bidder did not have capacity to do the work by the present service provider. SASSA’s proposal and approach was that the payment of grants should be people centered. Treasury suggested that SASSA should have a communication campaign whereby grant recipients will go to SASSA offices and give their account numbers. Experience of the re-registration period informed SASSA that it would not work. Hence there was minor disagreement, but DSD is working together with Treasury. Looking at some of the recommendation of Treasury, DSD will not be able to meet up with the deadline. Work streams have started their work but have not been approved by Treasury. SASSA is in the process of negotiating with the current service provider. This is to ensure that the current contract is not taken as is, especially with regards to deductions. SASSA will ensure that it works within the allocated budget. A report about the deviation has been done. On 1 April SASSA will be able to pay grant recipients. At some point, DSD should have come to the Committee to express its challenges. The Chairperson thanked the Minister and asked if members would like to engage her now or wait till the presentation is over. It was suggested that questions should be raised after the presentation. The Chairperson asked if the Advisory Committee had been established to support SASSA in implementing the project. The Minister responded that the Advisory Committee was already in place before she took office. The Advisory Committee was looking at issues raised by communities about the pension payout system. The Minister and her team strengthened it so that it can come up with the work SASSA must do. Ms Zodwa Mvulane, SASSA grant payment transition project manager, said the purpose of this report is to update the Committee on progress made towards implementation of the recommended route for ensuring payments of social grants on 1 April 2017. On 1 February 2017, SASSA presented to the Committee its plan towards ensuring that social grants are paid by 1 April 2017. The presentation of that day highlighted the six options that were considered by DSD, their advantages and disadvantages, and risks associated with each of the six options. DSD also reflected on the option that was preferred by Treasury. SASSA reported that it seeks to pursue Option 1 since it carries the least risk in terms of service delivery failure. In order to pursue Option 1, SASSA planned to negotiate terms and conditions for the new contract including agreement on the feasible timeframe (up to two years), approach the Constitutional Court, apply for procurement deviation and enhance communication with beneficiaries. A letter was dispatched to National Treasury on 7 February 2017 requesting a deviation to enter into a new contract with CPS. A response has been received from Treasury stating that the request will be considered only if the Constitutional Court accedes to the request. The SASSA team met with the Office of the Chief Procurement Officer to discuss other procurement processes. SASSA’s bid adjudication committee (BAC) ratified the deviation submitted to Treasury on 9 February 2017. During its meeting with the Committee on 1 February, SASSA indicated that it will be approaching the Constitutional Court on 8 February 2017. It however also stated during that presentation that it is still in consultation with its lawyers on the most appropriate legal route when approaching the Constitutional Court. Pursuant to the legal advice, SASSA was advised that the Concourt has discharged its supervisory role. However, SASSA was further advised to file a supplementary report. This report will supplement the progress report filed on 5 November 2015. The report will further indicate the drastic changes to its plan from the one filed from the onset. The report must also have the new terms and conditions, timelines for the deliverables, and progress in relation to the negotiations with the current service provider. A document reflecting the issues to be negotiated has been developed. The issues looked at are period of contract, timelines, costs, unfavorable conditions, special beneficiary accounts, phasing-in of services over the period of the new/revised contract. Negotiation dates has been set and will be starting in earnest in the following week. Treasury has been requested to nominate officials to form part of and support the negotiation process. Treasury was requested for two sole reasons: as the custodian of the fiscus and knowing the impact of the payment programme on the fiscus, they will advise on the cost and other financial impacts. SASSA issued the RFI for payment and banking services on 9 December 2016 and it closed on 10 February 2017. 18 bids were received from various stakeholders including banks, private companies and government entities. Analysis of the responses is underway. Biometrics for system users – the request for proposals was issued on 9 December 2016 and closed on 7 February 2017. The Bid Evaluation Committee has been appointed and will start work in earnest. There are other engagements that are taking place between National Treasury, SASSA and Reserve Bank. The first one is looking into should SASSA fail in the negotiation with the current service provider, what options can be looked into. SASSA has considered that currently out of the beneficiaries that it is paying, already there are 1.6 million beneficiaries that are using their own commercial bank accounts. SASSA then invited Bankserv to have a discussion with them if SASSA want to resuscitate the control account which SASSA used to have, and how long it will take. SASSA has been given an assurance that it will take two weeks to do the testing and to be able to do the payment and pay those beneficiaries. There are other processes that SASSA is looking into, as it is looking into the bids from the 18 service providers, it is also considering if it has to do a short procurement process for cash dispensation. Ms Mvulane said that the Department recommends that the Committee notes the progress made towards ensuring that social grants are paid by 1 April 2017. The Chairperson asked what the long term vision of the whole process is. The presentation only showed short term arrangements. Ms Mvulane responded that SASSA has five-year plan that it will become a paymaster. The intention is to have a SASSA card in five years. To do this there should be some payment investment especially in relation to building an in-house ICT system. SASSA requires a period of two to three years to be able to do this. The process of procuring the service provider that will be phasing-in when CPS phases out is in preparation for SASSA to be able to take over. The current service provider will be taking SASSA through this transition period. When the new service provider comes in and phases out, SASSA will be ready. Not all services will be done in house. SASSA is in discussion with the Post Office to know what aspect it can assist with in the long run. The Chairperson said that the broader long term plan should include universalisation of protection so that the National Development Plan is achieved and comprehensive social security. DSD should have a broad vision and not only about the grant payment. Ms B Abrahams (ANC) asked what will happen to the beneficiaries who are not on the bank system. Ms K De Kock (DA) asked about the financial cost of each of the six options presented. How can SASSA assure the Committee that there will not be anything wrong this time? She commented that the national crisis is not about whether the grants will be paid or not because they will be paid. The true national crisis is the value of the child support grant. When the Minister was asked what the grants will be, she responded that the grants are constrained by what the budget allows. In other words, the grants are what they are because of how much money is available. The main concern is that there is enough money to increase these grants but the bulk of the money is spent on contracts at the expense of the children. Ms L van der Merwe (IFP) said that it is unfortunate that it took DSD time to tell the truth whereas on 1 February only a half-truth was served. The Minister and DSD have shown negligence and complete disregard to the reputation, dignity and authority of the Constitutional Court order. In 2014, the Constitutional Court told DSD to prepare itself for 1 April 2017. Until now it is not clear what happened in the last three years. According to the presentation, some of the work started in October 2016. Now the country is being forced into a crisis. Ms van der Merwe said Treasury had told DSD to go to the Constitutional Court and it appears DSD plans to give a report to the court on 31 March 2017, the very day that the contract with the current service provider is expected to end. Is it right to assume that DSD will ignore Constitutional Court and Treasury orders by signing an emergency contract with CPS and Net 1? The Chairperson asked that members raised questions only on what has been presented. Ms van der Merwe said that the Powers and Privileges of Parliament Act protects Members to ask questions of clarity. CPS and Net 1 have sued Ms van der Merwe for calling them a bunch of crooks in the last meeting. This was in the context of the illegal deductions from grants. Ms P Mogotsi (ANC) said that hearsay should not be entertained in the meeting. Mr Sipho Shezi, DSD Director General, replied that as the custodian of the big money, DSD is saddled with the responsibility of transferring money to households. On 1 April 2017 grants will be paid, and as the Minister has said any new engagements with CPS will ensure that there are no deductions. The negotiation however will be tough, it will include the DSD Director General, Treasury and SARB. In answer to the Chair’s comment, Mr Shezi noted that comprehensive social security envisages a whole range of issues. Mr Shezi replied that six options were developed out of the high level task and that team comprised of Treasury, SARB and DSD. The guidelines given to that team was to avoid any option that will hinder the payment of grants on 1 April. Mr Brenton van Vrede, Acting DDG: Comprehensive Social Security, replied about the financing of the child support grant. DSD has agreed that the value of the grant needs to be looked into. However, as the Minister earlier said, budget constraint is still a challenge. As mentioned by the Director General, the Department is looking at comprehensive social security much more broadly. Mr Tsakeriwa Chauke, SASSA CFO, responded on funding the work that has been done for 2017/18. SASSA has been allocated R7.2 billion, of that amount R3.2 billion is the cost of the current contract. During negotiation, the same money will be used. DSD has retained surplus. DSD will have to engage with Treasury for additional funding of the full project. Minister Dlamini said that SASSA has tried to ensure on yearly basis that there is surplus in its budget. The surplus is not left with the Department, it goes back to the Treasury. The Advisory Committee matter links back to international benchmarking because it is the standard used for social security internationally. It might look as if nothing has been done by SASSA, but after the Concourt decision, SASSA was instructed to issue a tender. Towards the end of the tender process, two bidders withdrew and those remaining could not meet the basic requirements. The per grant administration fee is R16, from the first time CPS started working, and this condition was used for all the bidders. The R16 is for administrative fees, pay point fee and ensuring the safety of beneficiaries. It is good to deal with comprehensive social security to ensure that the quality of people’s life is changed. Universalisation will also make a very good impact on people’s life. A lot is and will be done to ensure that the child support grant will have an impact on the children. Ms E Wilson (DA) said there is no progress in this progress report. The Department was supposed to go to the Constitutional Court on 8 February 2017 but has not and it will only go on the 31 March. Five weeks down the line, DSD is still consulting with lawyers. Ms S Tsoleli (ANC) said that the 31 March court date should be clarified as it was not mentioned during the presentation. Mr Thokozani Magwaza, Chief Executive Officer (CEO) of South African Social Security Agency (SASSA) said 31 March was never mentioned and it cannot be the 31 March 2017. On the criteria for the options, Mr Magwaza said that when the task team was tasked on items to consider in looking at the options, the Treasury himself stated that any option that will cause SASSA not pay on the 1 April should not be considered. So Options 3, 4, 5, 6 should be considered in the medium and long term plans but Options 1 and 2 should be considered. Ms Wilson said that there was a newspaper article that said DSD will go to court on 31 March. However, it is the 22 February and yet SASSA has not gone to court, why? The report is about what will be done and not what has been done. Where is the progress? How many times has SASSA met CPS and how far is that negotiation? Five weeks away and nothing has been finalised. The Minister said it does not matter what the Constitutional Court says or what the circumstances are, grants will be paid. The Chairperson expressed concern about what Members were saying about what has not been presented. Ms H Malgas (ANC) said she did not hear the Minister say she is not interested in the Constitutional Court. However, Ms Wilson should list the non-progress she is referring to. Ms Tsoleli pointed out that there is only one chairperson in the Committee. Ms Wilson stated that it is five weeks away to 1 April, and DSD is still talking about ‘should we fail in the negotiation, we will go to plan B’. The Minister’s comment about the Advisory Committee being in place prior to her takeover, means that the Advisory Committee has been there since 2009. Is SASSA still paying that Advisory Committee? This Advisory Committee has been advising on the grant payment since 2009 yet, they cannot get their act together in two years for SASSA to take over the grant payment. This is mind blowing. What have they been doing since 2009? Ms Tsoleli said that the newspaper article should not be entertained. The same newspaper has been misquoting her and stated that she was present whereas she was not present that day. There are statements that should not be left unchallenged especially about the child support grant. Research units and companies such as the Southern Africa Labour Development Research Unit at UCT indicate that the size of social grant for older persons is sufficient to lift households in South Africa out of the poorest quintile. UNICEF together with the University of Johannesburg, says the child support grant has a positive impact on their schooling. The University of Stellenbosch in a survey last year, when surveying the parents of students receiving the grants, found that since 2002 when the poverty line was at 31% for children but now it has declined to 23%. Ms Tsoleli said that the Committee has not done anything to hold DSD accountable. Is it possible for the Minister and DSD, while busy with other processes that are urgent, to go to the Court to report on the processes they are working on? Ms B Masango (DA) thanked DSD for the presentation. The Minister said that she accepts that prompt action has not been taken by DSD. Having listened to the presentation, it is still obvious that prompt action has not been taken. It also seems that the more team there are, the further it is from actualising the project. On the options presented in the last meeting, had the Post Office been seen as a phase-in type of option, is Post Office still being considered as an option going forward? Two dates were given for the filing at the Constitutional Court and the Minister was jittery about the filing because she doesn’t want a clumsy report. What filing is the Minister referring to? The Chairperson said that the jittery relates to the presentation of DSD in the previous portfolio Committee meeting and not the court. The Minister felt that the last presentation was not consolidated enough to be presented before the Committee. Ms Masango agreed with Ms Tsoleli statement of the Committee taking responsibility for not holding DSD accountable. The first time this issue was discussed was on 7 June 2016 where a plan and progress report were asked from DSD and that was not provided. Where are the reports of the Advisory Committee and the work streams? Ms de Kock said that what she meant was that the child grant must be increased as a matter of urgency. Ms van der Merwe asked if DSD is negotiating with CPS and how far they have gone? What is the cost of extending the unlawful and illegal contract? There has been contradictory information on the period of extension of the contract. Since DSD is denying the allegation of going to court on 31 March, how then will it get a letter from Treasury for deviation without going to court? Will DSD simply ignore Constitutional Court advice and Treasury regulations and forge ahead blindly? The Chairperson said that the questions asked are not clarity seeking. Some of them originated from the media whereas DSD is present to clarify the issue. The Committee cannot be run by media. Ms van der Merwe said it is within her right to ask clarity seeking question on information seen elsewhere. The Chairperson said that time will be set aside to look into how Ms van der Merwe is treating the Chairperson. Ms van der Merwe said she thinks so too as she feels she is unfairly treated. Ms Mogotsi thanked the Chairperson for being in charge. She thanked DSD for the progress made so far. DSD cannot be forced to go to the Court. Members should not say there is no progress and thereby instill fear in the minds of the public. On the increment for the child grant, the budget will be read today, Members should wait for it. Responding to the Post Bank, she said the Post Bank is sick. Post Bank does not have the capacity for doing the work. The contract should be given to a service provider that has the capacity to pay out to the beneficiaries. Ms Mogotsi said political statements should not be allowed in the Committee. There will not be national disaster; there never was a national disaster. The Chairperson thanked Ms Mogotsi for going back to the Post Bank. It is doubtful if Members listen to presentation or just ask what they have made up their mind to ask. Ms Malgas said that the media should not be listened to. Members of the DA say there is no option for the Post Office whereas Option 5 speaks to it. DSD should file a report on progress made to ensure transparency. ANC have been paying grants for 23 years and cannot stop on 1 April 2017. There is no national crisis. SASSA should have a risk management strategy in place; its communication strategy should have one message. The Chairperson said that reporting to the Court has always been there, since the Court gave its ruling. Ms P Sonti (EFF) asked her question in vernacular. Ms Mvulane replied that the purpose of going to court is not for an extension but to file a supplementary report on progress made, SASSA’s way forward, and changes in the seven deliverables. Ms Mvulane replied that SASSA has not started negotiating with CPS but is communicating with them to agree in principle to their willingness to enter the contract. Letters have been written and positive responses have been received. There is progress registered in the presentation. Mr Magwaza replied that the Post Office and Post Bank has been coming up all the time. DSD has engaged the Post Office because it is a government department. DSD is still talking to them. A parallel process is in place; CPS is the first option but if it falls through there is a backup plan. The Post Office is part and parcel of that. The Post Office has around 2 567 outlets, the problem with the post office is its location. SASSA wants to participate in the National Paymaster System as it becomes the paymaster in the long run. 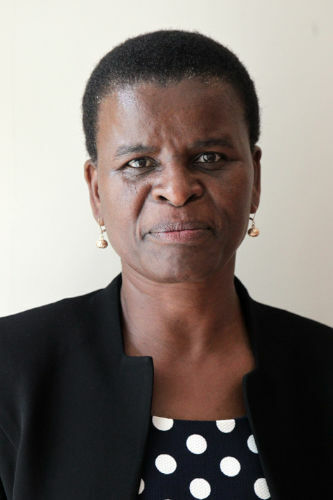 Minister Dlamini accepted the suggestion of going to Court to report on the outcome of the negotiation. The Court is very important especially since the matter deals with the socio-economic concerns of the people. Deviation and Concourt are separate processes. SASSA has already written to Treasury for a deviation. On the question of the advisory team, Minister Dlamini said when she took over there was a team collecting all the grievances of the people about the pension payout system. When the team completed its work, the new Office of the Minister professionalised the whole process and came up with the advisory team. The European Union is also assisting with expertise in the whole process. It is right to bring a report, as most of the recommendations proposed by the Advisory Committee were endorsed by the EU experts. Amongst the advisory team, the SARB was represented, to have a feel of what is happening on the ground and on the discussion of how people feel about the system. Minister Dlamini said that DSD was not angry when it saw the Post Office bidding but then it must be noted that Post Office has its challenges. DSD is using a 5 km radius between pay point and community standard. Those are postal agencies that are part of the number that the CEO gave. DSD is not saying it cannot work with the Post Office but at the same it has to make sure that the pay points are well routed and it does not disappoint the people as a state agency. Minister Dlamini said that DSD has started working with CPS on due diligence because the work streams have done the due diligence at CPS and SASSA. 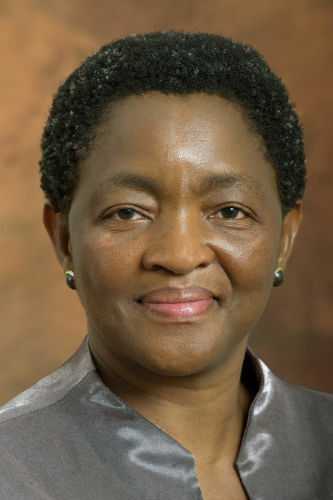 Minister Dlamini said when it comes to the grant pay out system, the grant has been growing gradually. The age of the child support grant, for example, was increased to 18; men now also receive the grant at 60. Minister Dlamini said the work and efforts of the SASSA officials should not be forgotten; they have been trying their best. There are countries that emulate South Africa in terms of grant payment. DSD will deliver in five weeks’ time. Maybe DSD will submit a report to the Chairperson on a weekly basis on the progress made, if not invited. Ms Mogotsi asked that Ms Mvulane give the Committee a risk analysis and plan, to help with oversight. Ms Wilson asked that since the Minister said that the Advisory Committee team has started doing work, without permission from Treasury, but that DSD is working within the budget perimeters. Yet there is a team going ahead without approval from Treasury. What is the cost of the Advisory Committee? Ms Wilson asked what will happen if Cash Paymaster Services refuses R16. Ms Wilson asked if members of the Advisory Committee are leading the work streams. Ms van der Merwe asked for clarity on the deviation request and the Concourt process. Ms Mogotsi said she is not answering for DSD, but DSD cannot go to court without having a plan. She asked for the work plan of the advisory team. Ms Masango on a point of order said that Members should not answer for the DSD. What is the connection between the DSD request to Treasury for a deviation to enter into a new contract and the ratification approval by the BAC? The Chairperson said that Members should be more democratic. If any Member feels that some questions asked is or was not presented, he or she has the right to answer. Mr Chauke replied that the BAC is a normal process. Before the accounting officer considers any procurement process above R500 000, it will go through the BAC. Via the Office of the CFO, the accounting authority can be authorised to proceed with the matter. The BAC can look at the paperwork, compliance and ratify it if it is happy with it. If the BAC is not happy, it can advise the accounting authority. Ms Mvulane replied there is a risk plan which will be shared at the next meeting. The Minister replied in terms of the deviation, the Department will follow the laws related to deviation. The Department has been trying to negotiate in good faith. The Department cannot pre-empt the discussion before it takes place. If during the negotiations, the work plan and conditions are compromising and unreasonable, the Department will go back to the drawing board. The Chairperson said that in South Africa there is a collective management and caring for the lives of people. No court in any country can seek to worsen the situation of their citizens. The poor should not be scared that they will not have a plate of food when they wake up whether it is for political scoring or hostility. When a matter becomes a priority, the Committee will design how it will be handled. The Chairperson said the agenda item on DSD's Quarter 2 performance would be postponed. The meeting was adjourned.